Growing up, our moms and lolas always told us to "powder our noses" (using the famous Johnson's Baby Powder no less), because we were starting to get shiny. But today, shine is IN. 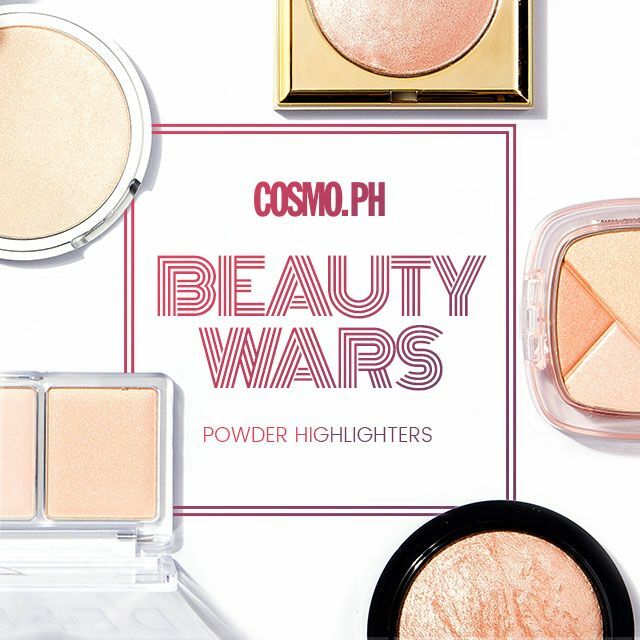 So for our eighth Cosmo.ph Beauty Wars review, we're shining a light on affordable and high-end highlighters to see which one will give our complexions the best ~*sparkling glow*~! What It Is: A highlighting trio that consists of champagne, rose, and bronze shades to give skin a soft and natural radiance. It also contains fine shimmers that gently reflect the light and give cheeks the ultimate glow. Why We Love It: For its price point, we love how it already has three different highlighting shades in one palette—it's good value for money! 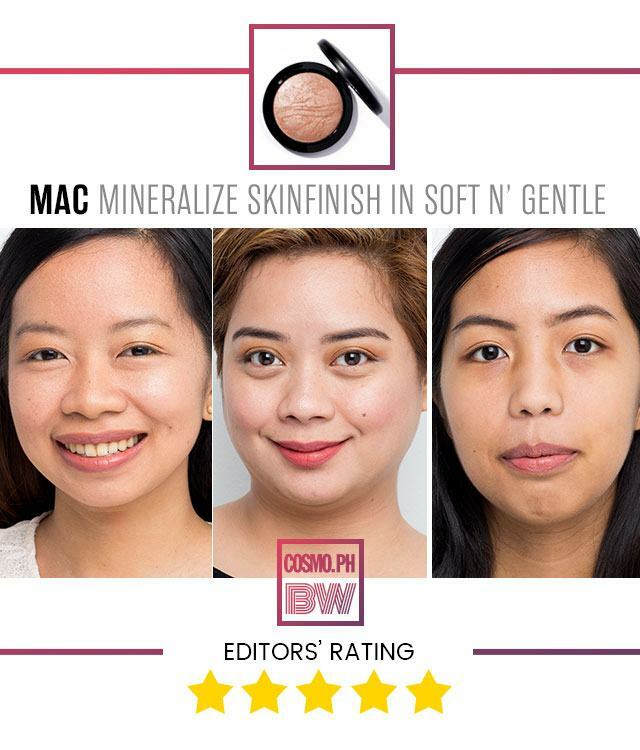 Unfortunately, it barely showed up on our skin, and the shimmers weren't as fine as they claimed to be. 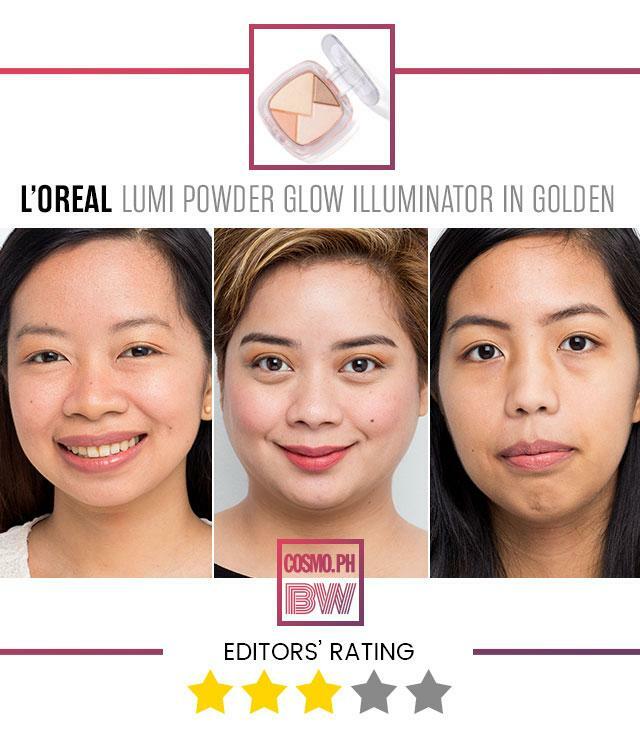 What It Is: The Lumi Illuminator's four shades enhance all skin tones and undertones when combined. Housed in a rose gold package, you can instantly see the shades in one glance, making it easy for you to decide how much you want to *sparkle* at the moment. 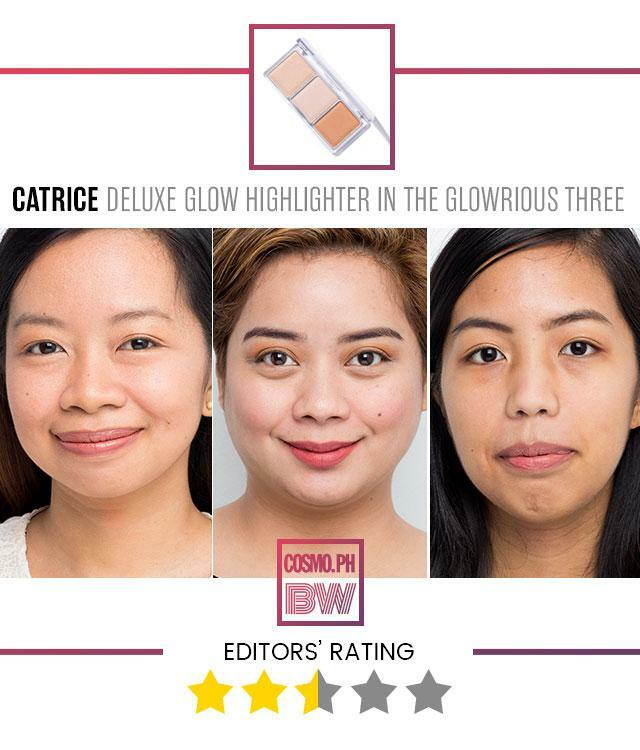 Why We Love It: Out of the two affordable highlighters we reviewed, this was the better one. The Lumi Powder gave our cheeks a subtle highlight and stayed on for a few hours. Say hello to our new everyday highlighter! 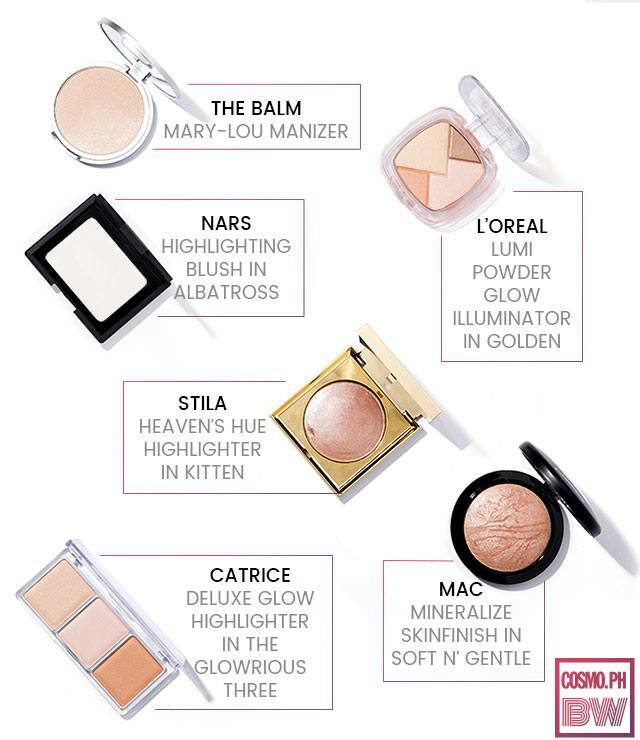 What It Is: A honey-hued highlighter that instantly catches the light and everyone's eye, it lends a soft, youthful quality to skin. Why We Love It: WOW. To get the most eye-catching highlight ever, we barely had to touch the pan—and it didn't appear like a weird streak on our cheeks because the product was so fine yet intense. Definitely a must-have if you're just getting into highlighters. Don't worry if you have a darker skin tone, too; it will show up beautifully! What It Is: Bouncy and creamy, the Heaven's Hue Highlighter contains ultra-fine particles that melt into your skin for a natural-looking ~glow~. 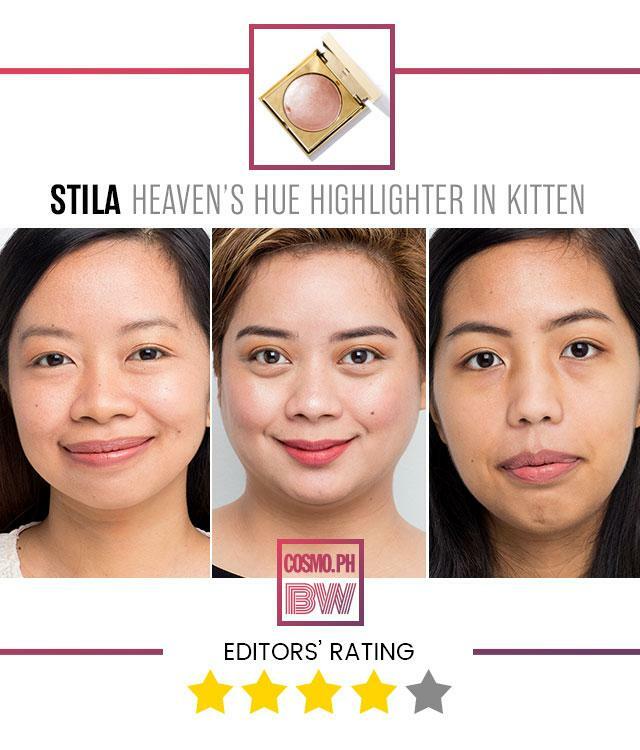 Why We Love It: While the shimmers weren't as fine as Mary Lou's, this Stila highlighter still gave our cheekbones some serious shine and lasted a little bit under eight hours. If you love a ton of glitter in your highlighter, this will be your new go-to! What It Is: Thanks to its transparent pigments, this highlighter feels light on the skin. And whether you wear it alone or with blush, you can be sure that your skin gets instant radiance! Why We Love It: This was a surprise: Albatross is white in the pan, but on ALL of us, it showed up yellow. Thank God we all have neutral to warm undertones! It was subtle and easy to apply, but we'd rather go for more champagne tones. If you have a darker complexion, though, this may be the one for you. What It Is: A slow-baked powder that gives a luxurious and velvety soft radiance to the skin. 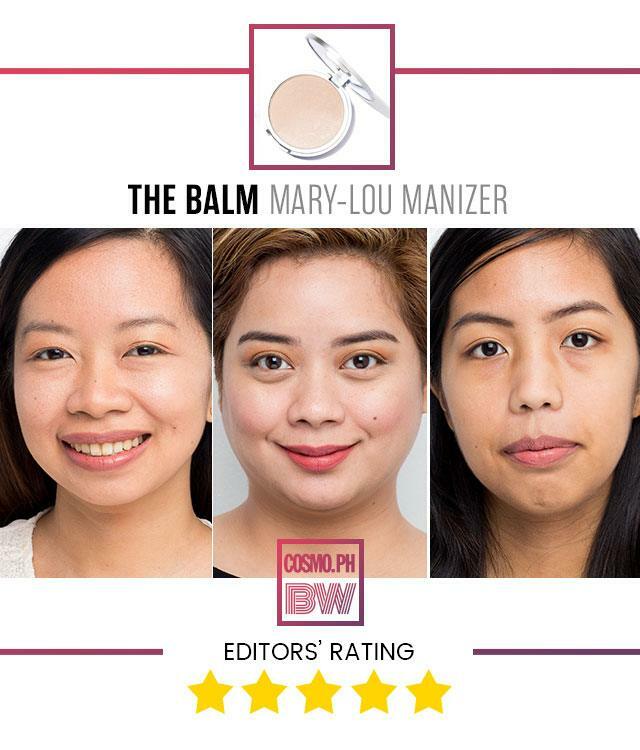 You can either use this dome-shaped product on the high points of your face or all over! Why We Love It: One swipe was all we needed to love this because the Mineralize Skinfinish looked B E A U T I F U L on all of our complexions. It didn't emphasize pores or texture, and those are the top two things we watched out for when testing these highlighters. The next time we're in the mood to splurge, this is what we're getting!